Free S/H on Rev A Shelf orders over $99! 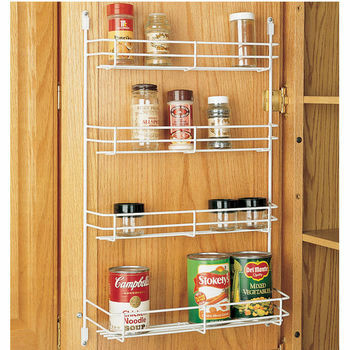 Rev-A-Shelf's door mounted spice racks are great for storing spice bottles. The Lower shelf easily supports large canned goods. Available with a white finish. 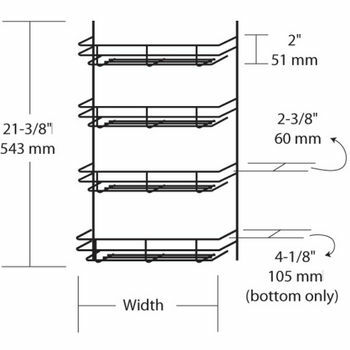 The bottommost shelf measures 4-1/8" in depth.